A file photo of Mega Millions and Powerball slips. Between the country's two biggest lottery games, nearly $500 million in jackpot money is on the table this week. The Mega Millions jackpot has grown to $303 million and Powerball's top prize is now $193 million, following weekend drawings that yielded no tickets hitting all winning numbers. If you manage to nab the jackpot in either of this week's drawings — Tuesday night for Mega Millions and Wednesday night for Powerball — the first thing to do is take a deep breath and resist the urge to announce your exciting news to the world, experts say. Instead, consider what's ahead. When you come into a life-changing amount of money, there's more involved than suddenly having a big bank account and deciding what you want to buy. This is what you do if you win the lottery from CNBC. "With great wealth comes great responsibility," said certified financial planner Jim Shagawat, president of Windfall Wealth Advisors in Paramus, New Jersey. Here are some key decisions you'll need to make first if you win big. For both the Powerball and Mega Millions jackpots, winners get anywhere from three or six months to one year to claim their prize, depending on where the winning ticket was purchased. In other words, there's no need to rush over to lottery headquarters the day you win. "The time between the day you win the lottery and the day you claim is your last period of normalcy," said Jason Kurland, a partner at Rivkin Radler, a law firm in Uniondale, New York. Make sure you find out whether you can remain anonymous when you claim your prize, because laws governing lottery wins vary from state to state. In some places, you can easily keep your identity protected from the public. In other states, it's impossible. And in some states that require the winner to be announced, the law allows a trust or other legal entity to claim the prize on your behalf, thereby keeping your name out of the public eye. Also, the standard advice is to sign the back of your winning ticket in case you are separated from it. However, if you end up having the option of claiming your prize through a trust to protect your identity, your signature could interfere with your ability to do that. This makes it important to know your claiming options first. 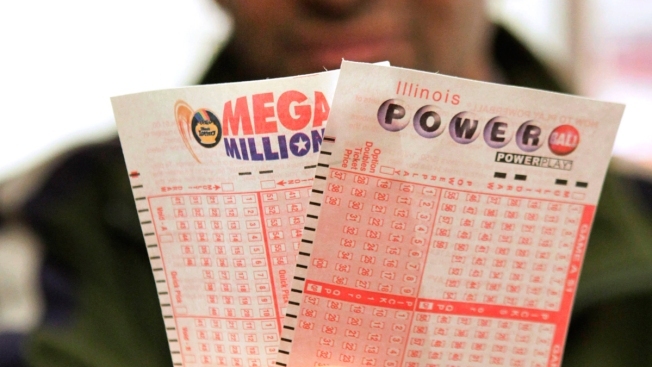 For the $303 million Mega Millions jackpot, the lump sum option is $176 million. For the $193 million Powerball jackpot, it's $112.9 million. The other option is to take your winnings as an annuity, which would mean spreading it out over 30 years. Many experts recommend taking the lump sum, because if it's managed and invested properly, you could end up with more money over time than if you took payments spread out over several decades. However, it's important to know thyself. "If you know you have trouble with compulsive spending or know that certain family members will be after your money, you may want to go the annuity route," Shagawat said. Remember, too, that either option comes with an immediate federal tax hit of 25 percent. That withholding would reduce Mega Millions' cash option by $44 million to $132 million, and Powerball's by $28.2 million to $84.7 million. You also should anticipate owing more to Uncle Sam at tax time. On top of the IRS withholding, you'll pay state taxes on the money unless you live where lottery wins are untaxed. For states that do take a piece, the rate ranges from a high of 8.82 percent in New York to a low of 2.9 percent in North Dakota, according to lottery site USAMega.com. Before you claim, you should assemble a team of professionals that ideally includes an attorney, accountant, insurance consultant and financial planner. An experienced attorney should be your first call. "Make sure you're comfortable around each team member, and make sure they have the proper accreditation for their field," Shagawat said. "You need a team around you to guard against being taken advantage of." Someone on the team will need to serve as your gatekeeper. That is, they can field requests from moochers or scammers or even friends and family members who want a piece of your windfall. The important thing is to avoid becoming one of those lottery winners who unintentionally fritters away their new wealth. "The main reason that happens is there's a failure to develop a plan for careful and thoughtful management of the money," Shagawat said.